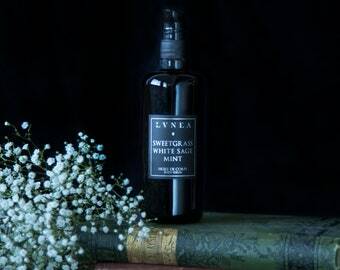 Lvnea is a natural perfumery and botanical apothecary drawing inspiration from old world perfumery techniques and ancient alchemy. Pure plant essences, including essential oils and plant extracts, are sourced from around the world. 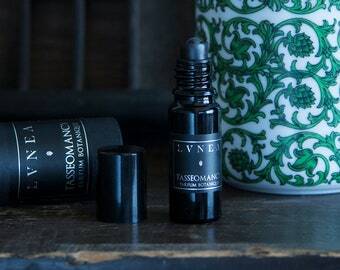 Tinctures and plant infusions, made in-house combine with the former to create truly magical perfume formulae. All natural and botanical. Unisex. 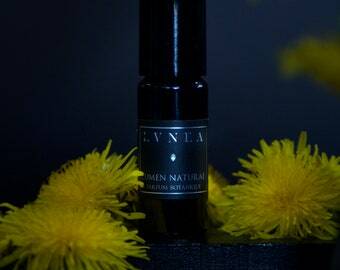 And use the #lvnea hashtag to post photos of your Lvnea products! Will continue to explore other products. Happy to discover this shop. My first time placing an order. So satisfied with everything. (Service, product, packaging and delivery.) Was a gift for my husband. He was impressed. this is a quiet scent.smells like a forest.great prices and lovely packaging.thank you,i loved the card. The Black Forest sale is happening NOW through Monday. Take 20% off your order wit the code BLACKFOREST at checkout. Some of my favorite scents to keep you cozy on rainy days: Nuit Désert, l'Étranger, and Dagger Moon. Try the entire line of botanical perfumes before purchasing a full size bottle. Hand-crafted in Montreal, each scent begins as a distinct story. while, the highest quality ingredients are sourced from around the world. Creating scents that are at once reminiscent of another world, yet deeply familiar. Lvnea explores the spaces between the natural world and that of the ethereal. 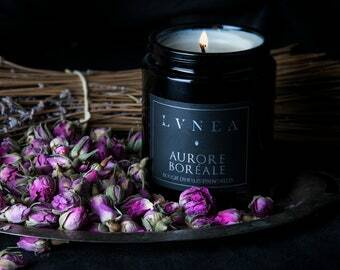 With a focus on pure plant essences and unexpected aromatic combinations, rare ingredients are sourced from around the world to evoke distant memories and awaken unwritten desires. 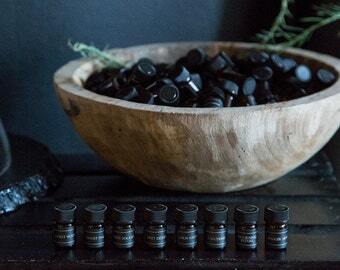 Hand-crafted in Montreal, each scent begins as a distinct story, transforming the conceptual into high olfactory art. Traditional French parfumerie techniques are juxtaposed with luxuriantly minimal design, creating scents that are at once reminiscent of another world, yet deeply familiar. Natural perfume first and foremost is art to be smelled. 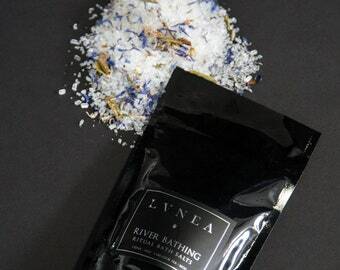 It's raw materials are the plant essences that have been used since ancient times for pleasure, ritual, and romance. These plant essences are distilled and extracted from flowers, herbs, leaves and grasses, spices, roots, gums and balsams, wood, and citrus. They possess a compressed vitality that can potently affect our emotions and state of consciousness. They contain a vibrant spiritual energy and inherent life force obtained from the plant life they are made from. Natural perfume is rich with history. The earliest perfumery discovered was on the island of Cyprus and dates back over 4000 years. These perfumes were made of natural materials in a base of oil and kept in clay pots with their contents dabbed and rubbed onto the skin. Ancients saw perfume as a high art and a religious sacrament. Kyphi an ancient Egyptian incense and perfume was considered the 'sweat of the gods' and it's creation and formulation was top secret and clouded in mystery. It was only less than a mere century ago that synthetics were used in the construction of perfumes. Nowadays most perfumes are composed of 98% synthetic material and lack the rich complexity and concentrated life force found in a natural perfume. Natural perfumes will evolve over time, with each note giving way to the next; contrary to the one note persistent synthetic based perfumes which contain chemical fixatives making the perfumes stick often for days and loudly announcing their presence. I firmly believe that scent does not have a gender. Throughout history a perfume was simply a perfume, not a men’s perfume or a woman’s perfume. Men doused and bathed in florals and scents that today would be considered overly feminine. Only in the 20th century did dividing perfumes into gender categories begin, and this was purely a marketing strategy. 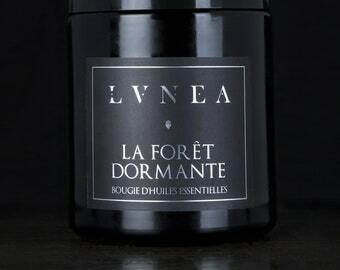 Personally, I gravitate towards so called ‘masculine’ scents such as: woods, moss, pine and forest notes. I say if you love a perfume then don’t let the boundaries stop you and simply trust your nose. Could you describe your Eau de Parfum? The Eau de Parfums offered are made using traditional French perfumery techniques and are composed of hand-made tinctures of aromatic resins and plant extracts in a base of pure alcohol. The alcohol base allows them to be sprayed on the body liberally. They are made at a 10-15% dilution. Could you describe your Parfum Botanique? 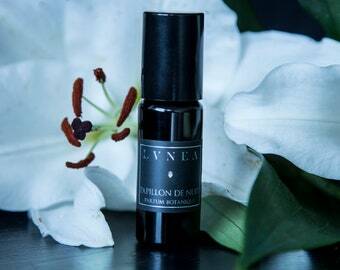 The Parfum Botanique line is composed of oil based roll-on perfumes that one may use to anoint themselves with. These concentrated oils are made with pure essential oils and plant extracts in a base of jojoba and fractionated coconut oil. They are made at a 15-20% strength. Could you describe your Parfum Solide? Parfum Crème is an oil and wax based perfume balm. These tend to be more intimate scents that stay close to the skin. They are composed of floral waxes, plant infusions, and essential oils. They are made at a 20-25% strength. The longevity of a perfume has more to do with the overall composition of the essences rather than the carrier in which the blend is contained. As previously stated, lighter more volatile oils (such as citrus and needle oils) will evaporate faster contrary to the heavier resin, root, and wood based essences which can often last all day. 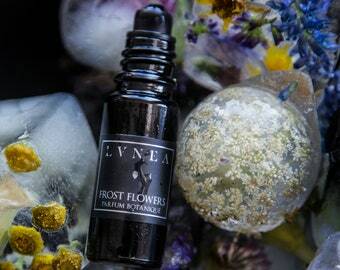 The special black amethyst glass we use will protect and extend the life of our perfumes making them last for years. However, perfumes should still be kept away from direct heat or light and you should avoid subjecting them to drastic change in temperatures. 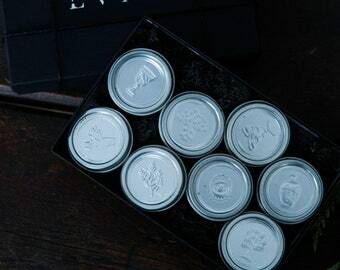 Eau de parfum should be stored with the cap on tight when not in use so as to avoid unnecessary evaporation. The bottles with puffer sprays come with an additional cap for this purpose. What is the proper way to wear and evaluate a perfume? When evaluating a perfume remember, waft don't draft; Wave the bottle under your nose rather than inhaling it in one long draft. Continue by evaluating the scent on a perfume blotter or directly on the skin. You will never be able to experience the full spectrum of a perfume simply by smelling it straight from the bottle. Dab a small amount onto pulse points such as wrists, inner elbow, or décolletage. Allow the scent to air dry and absorb naturally. Never rub the scent into the skin or rub wrists together as this produces heat that actually makes the scent evaporate more quickly and essentially disappear faster. Repeat the ritual throughout the day.